Today’s readings are from Exodus 33, John 12, Proverbs 9 and Ephesians 2. Exodus 33 consists of the people’s repentance (vv. 1-11); Moses’ intercession (vv. 12-16) and God’s agreement to go with Israel and reveal His glory to Moses (vv. 17-23). Moses has just been informed that God would send Israel to Canaan with the promise of safe passage, with the Lord’s angel going before them, but without YHWH in their midst (Exodus 33:1-3). Israel was overwhelmed with grief by this news (33:4-6). God’s dwelling in their midst was what made them distinct, and now because of their stiff-necked sin, God was pulling back. Are you disturbed at the prospect, however remote, that God’s presence might be withdrawn from your life because of your sin? 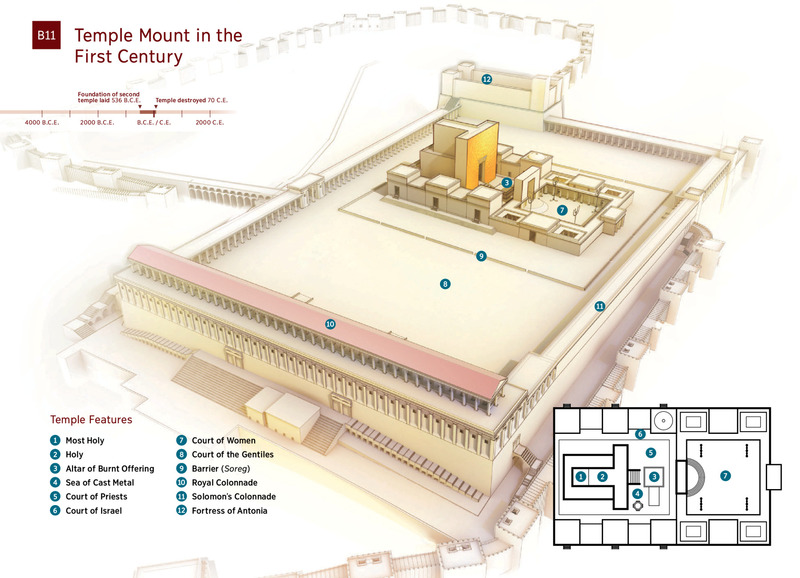 This separation is confirmed in 33:7-11, when Moses describes the kind of distant access Israel would be subjected to, now that the tabernacle plans had been destroyed (Exod 32:19). When Moses intercedes, he prays for God’s presence, which is the most important thing (as we will see again in Numbers 13). He prays according to God’s promises. This is always important, that we link our prayers not to our merits or even our needs, but to God’s promises. Moses also prays to learn more about God. This hunger for more is the true mark of revival. O God, I have tasted Your goodness, and it has both satisfied me and made me thirsty for more. I am painfully conscious of my need of further grace. I am ashamed of my lack of desire. O God, the Triune God, I want to want You; I long to be filled with longing; I thirst to be made more thirsty still. Show me Your glory, I pray, so I may know You indeed. Begin in mercy a new work of love within me… Give me grace to rise and follow You up from this misty lowland where I have wandered so long. In Jesus’ name. Amen. When Moses asks to see God’s glory (v. 18), God tells Moses that he will make His goodness pass before Moses (v. 19), but he cannot see God’s face or else die (v. 20). Moses was placed in the cleft of the rock (v. 21) and saw Yahweh’s backside (v. 23). Paul, in Philippians 3, wanted to be “found in Christ,” for that is the only place where we find protection from the wrath of God against our sins. John 12 begins with Mary anointing Jesus’ feet with costly perfume and wiping them with her hair. Of course, Judas objected. He began by stealing from the “common purse” and ultimately betrayed Jesus for thirty pieces of silver. Every time we see Mary, she is down at Jesus’ feet (Luke 10:38-42 learning; John 11, praying; John 12 worshiping). Barclay mentions three significant things communicated by Mary’s worship–it was extravagant; it was humble; it was unself-conscious. John 12:12-36 is John’s record of the triumphal entry. Jesus rode in on a donkey, a symbol of peace, when he could have ridden in on a horse, symbolizing war. John is the only gospel writer to tell us that Greeks sought out Jesus. They wanted to see Jesus. “We would see Jesus.” What a wonderful thought for pastors as they step into their pulpits. And what a wonderful thought for each of us as we live our lives in front of our families, our neighbors, our co-workers. Philip and Andrew presented them to Jesus. His first response is that “the hour has come for the Son of Man to be glorified.” Apparently this appearance of Gentiles before this Jewish Messiah was the tipping point. Up until now it had not been his hear (John 2:4; 7:6, 30; 8:20). In order to bear spiritual fruit, we must die. We cannot protect our life and experience growth in our life. We must “hate” our life by putting ourselves at risk. This chapter ends by showing the unbelief of the people (John 12:37-50). So many signs had been performed, but they did not believe, so Jesus pronounces the Isaiah “curse” on them, which merely explains why they did not believe. Part of the reason for their unbelief was the fear of man, that they would be unpopular if they did believe in Jesus (12:42-44). These are the last words in John’s gospel from Jesus to the public. In this last speech to the multitude, Jesus emphasized the themes of all His previous preaching in John. He who sees Me sees Him who sent Me: Jesus stressed His unity with God the Father. I have come as light into the world: Jesus stressed His own truthfulness, and the need man has to follow Jesus. I do not judge Him: Jesus stressed His love and acceptance for the sinner; yet the word that I have spoken will judge Him — there are inescapable consequences for rejecting Jesus. I have not spoken on My own authority: Jesus stressed His own submission to God the Father. His authority flowed from His submission to God the Father. Proverbs 9 contrasts wisdom and folly in a very symmetrical structure. Verses 1-6 correspond to verses 13-18 remarkably. This chiastic form of presentation sets off the central verses (vv. 7-12) as the most important in the chapter. Both Wisdom and Folly invite the youth to seek them. The purpose of the similarity is to highlight the differences, which present Lady Wisdom as clearly desirable in all respects. The description of Lady Wisdom is given more space (12 out of 18 verses), contains a summary of her teaching (vv. 6-10), and has her narrating the consequences of her way (vv. 11-12). Notice her preparation in vv. 1-2. She offers her own preparations (reality), whereas folly offers stolen goods (v. 17, illusion). These two rival invitations bring this section of Proverbs to a climax. The youth (reader) must now make a decision: Which one will he or she follow? Ephesians 2 begins with the bad news (2:1-3)–before God’s grace presented Christ to us and enabled faith in us, we were dead (v. 1), disobedient (v. 2), depraved (v. 3) and doomed (v. 3). BUT GOD–the most beautiful words on earth! But God reversed all that…the good news is that now we made alive (v. 5a), seated in the heavenlies (v. 6) and will experience “immeasurable riches of his grace in kindness” throughout eternity (v. 7). According to vv. 8-9 the basis of our salvation is God’s “grace” (unmerited favor and divine enablement; cf. Rom. 3:22, 25; Gal. 2:16; 1 Pet. 1:5). The instrument by which we receive salvation is “faith” (i.e., trust in Christ). Faith is not an act or work that earns merit with God, which He rewards with salvation. What is the gift of God? What does “that” or “this” refer back to? Gift if neuter, but “grace” and “faith” are both feminine. Probably it refers to the whole preceding clause that describes salvation (cf. 1:15; 3:1). Another truth to remember is that because we have not been saved by our good works, neither can we be lost by our bad works. Verse 10 gives another reason salvation is not from man or by works. Rather than salvation being a masterpiece that we have produced, regenerated believers are a masterpiece that God has produced. Doesn’t that make you want to say “Yes” to all God has for you? The remainder of Ephesians 2 shows that salvation is not merely about individual regeneration. It is also about corporate reconciliation. We are brought into a relationship not only with God, but with other believers. Of course, the great dividing wall in the first century Mediterranean world was between Jews and Gentiles. Of course, we talking about Gentile believers here. However, the Jews were very ethnocentric (or racist). It took a lot of convincing (Acts 10-11, 15) for Jewish Christians to believe that even Gentiles, if they believed, could be considered part of the same body, the body of Christ. So Paul talks about the reality of that union of all believers, no matter what race, in Christ (vv. 11-13), then explained exactly what that involves (vv. 14-18) and ends with the consequences (vv. 19-22). Prior to the cross, Gentiles were “separated from Christ, alienated from the commonwealth of Israel and strangers to the covenants of promise, having no hope and without God in the world” (2:12). BUT NOW another wonderful intervention of God has occurred–“in Christ Jesus you who once were far off have been brought near by the blood of Christ” (2:13). Everything that once divided them had been abolished. The “dividing wall” had been brought down just like the Berlin Wall in 1989. The “dividing wall” (soreg) was the low-standing wall in the temple area that barred the Gentiles from getting too close to the temple. On the cross, Christ put to death the hostility between Israel and the other nations. Jesus Christ had two purposes in ending Jewish Gentile hostility. First, He wanted to “create” one new man, the church (v. 6), out of the two former groups, Jews and Gentiles (v. 11). Here the “new man” is not the individual believer but the church, the body of Christ (cf. 1:22-23; 1 Cor. 12:12-13; Col. 3:10-11; Heb. 12:23). In the church, God does not deal with Gentiles as He did with Jews, nor does He deal with Jews as He did Gentiles. Jews do not become Gentiles, nor do Gentiles become Jews. Rather, God has created a whole new (Gr. kainon, fresh) entity: the church. Jesus Christ’s second purpose for ending Jewish Gentile hostility was to bring (“reconcile”) Jewish and Gentile believers to Himself in “one body”: the church. The Old Testament never spoke of Jewish and Gentile believers as being in “one body.” Ironically, the Cross in one sense terminated Jesus, but Jesus terminated the enmity between Jews and Gentiles “with (through) the Cross.” Not only have Jews and Gentiles experienced reconciliation with one another (vv. 14-15), but they have also experienced reconciliation with God by the Cross (v. 16). The Cross satisfied God’s justice; it propitiated Him (cf. 1 John 2:2). God’s plan for believers included the building of a new entity after Jesus Christ’s death, resurrection, and ascension (cf. Matt. 16:18). It was to be the church. The church is not just a continuation and modernization of Israel under a new name but a new creation (v. 15). In the church, Jewish and Gentile believers stand with equal rights and privileges before God. Membership in this new body is one of the great blessings of believers in the present age, along with individual blessings (vv. 1-10). Paul glorified God for that blessing in this section of Ephesians. “I wonder if anything is more urgent today, for the honour of Christ and for the spread of the gospel, than that the church should be, and should be seen to be, what by God’s purpose and Christ’s achievement it already is—a single new humanity, a model of human community, a family of reconciled brothers and sisters who love their Father and love each other, the evident dwelling place of God by his Spirit. Only then will the world believe in Christ as Peacemaker. Only then will God receive the glory due to his name.